Do you wish your dog would lie down and relax on command? Whether your dog is begging for food, obnoxiously sniffing or jumping on guests when they walk through the door or getting under your feet while you’re trying to cook dinner, sometimes you just want them to lie down and calm down for a little while. Once you teach the Sit command, you can easily teach your dog the Down command by following the simple steps below. Training this command makes life easier for you and your dog, so let’s get to it! Have your dog sit in front of you while you hold a yummy treat in front of her nose. Allow your dog to sniff the treat, but make sure she can’t grab it. Slowly lower the treat down to the floor between your dog’s front paws while saying “Down”. As soon as your dog’s belly hits the floor, give her the treat and praise her. Practice the command with several short sessions a day. At first, keep the treat very close to your dog’s nose without letting her grab it. If your dog is reluctant to follow the treat down to the floor, make sure you’re using her favorite treat or food since dogs work harder for high-value treats. Also, schedule the training sessions right before meal time when she’s hungry and more motivated. Use your dog’s favorite toy instead of a treat if she’s not food motivated. If your dog is overly excited and unable to focus, exercise her before training. If your dog only lowers her head or doesn’t completely lie down, try moving the treat slightly towards you along the floor and she’ll probably lower herself all the way down. For clicker trainers, simply click when your dog’s belly hits the floor to mark the behavior, then give the treat and praise. Don’t try to physically force your dog into a down position which will only trigger their opposition reflex. Most dogs learn quickly by following their nose. What’s Next? Build on the Down Command! Once your dog has caught on, practice gradually holding the treat further away and lowering it just slightly. You’ll be working towards eventually being able to hold the treat from a standing position without having to lower it at all as your dog learns the verbal command. You can also combine a hand gesture along with the verbal command such as pointing to the ground when you say “Down”. After your pup knows the command from a sitting position, train them to lie down from a standing position. Slowly work to train the command from a distance and around distractions. You’ll know if your dog’s not listening well that you’ve probably increased the distance or distractions too much, just go back a step and practice a little more. Be patient with your pup as you work with her, especially around distractions. Eventually you’ll reduce the number of treats before phasing them out completely. Even though the goal is to have your dog listen without using treats, it’s good to occasionally surprise your dog with a treat and you should always praise a dog for listening. Haley was more than happy to earn some easy treats by demonstrating the Down command in this short video! There you have it! It’s easy to teach your dog the Down command and it comes in handy for so many situations, from dining at an outdoor patio with your pooch to getting her prepped for the Canine Good Citizen test. My favorite use of the command is for when Haley’s looking for a handout at dinnertime. I don’t mind her begging as long as she’s in a down position on the floor. Let me know how your training is coming along and share any tips of your own! Oh my Haley is such a sweet girl. The high five, adorable!! Aw, thanks Julie. ? She thought those were some easy treats to earn. Impressive, Sugar! ? She seems so smart and gorgeous too. We all love Sugar. ? That was the hardest command in Bailie’s obedience 1 class. Bailie didn’t get it either, so Mom came home and lined all three of us dogs up and had Katie and I do it a few times then Bailie. It took a couple tries, but then she got it. She had the best down in her class. Sometimes learning by example works wonders. That’s so true, dogs learn a lot from each other and Bailey probably helped others in the class learn the command too. Well done, Bailey and Mom! It’s funny they both got sit and down, but stay has always been the hardest for both of them. Stay is a hard one, especially around distractions. It takes a lot of patience, for you and the dogs, lol! Great info, and a great command to have in our training books too! Thanks, Jenna! Have a great Wordless Wednesday. She was getting a little bored by the time we got to the last clip, but she’s such a good sport, especially when jerky treats are involved, lol. That works, Dolly! Technically you’re still down, right? ? Such a basic, important command! I love how a lot of the important and useful commands are so easy to train too! PAWfect timing! Harley took to that command quickly as a puppy. Jax does it as long as there is a treat involved. No treat? No down. I will take all your suggestions and tips seriously as we continue to practice. Thanks for this post! Such an important command explained perfectly! Thanks! I’ll give Haley most of the credit, lol. ? Holy smokes, what a detailed explanation plus a video demonstration of the command. Thank you, I’ve bookmarked this for reference! Thanks so much! I had a chance to check out your site today as well, lots of great finds there. ? Bailey loves the “down” command so much that when I ask her to sit she automatically moves into the down position. OR she just might be a little lazy. Thanks for the tips. Aw, Haley does that sometimes too. Mr. N has taken to adding some flair to his down and hiding his face between his paws while in a down. Silly boy. Haha, I can totally visualize him doing that! ? They’re always ready for action, lol! Great looking dog, and good advice. Can you teach a cat down? Why thank you, Shadow! Just a pet on the back and they flip over for a belly rub, haha. Thanks for checking out the post today. ? Great tips – we’re lucky that both Jack & Maggie picked up down pretty easy and as seniors, down is kind of their default state. Yep, they’ve earned the right to take it easy and relax a little more. Great tips! Rita knows down but it’s one of her least favorite commands for some reason. I always have to stand there for a second while she waits to see if I really mean it! I shoud video her doing it sometime because it’s really funny how she does it on the hardwood floor. She just slides back into it from a sit. Thanks, Jackie. I would love to see a video of Rita and her “sliding down”. I should have thought of the hardwood floor technique when putting the video together, lol. 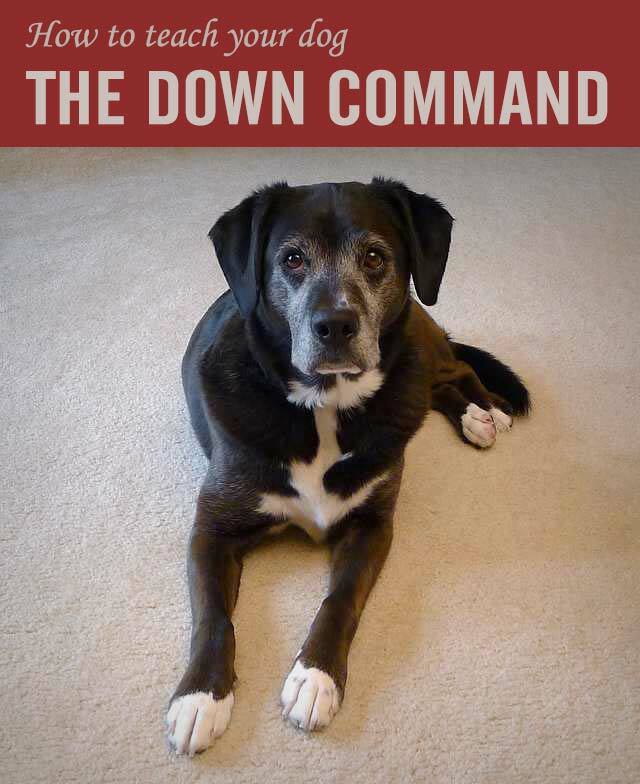 Oh yes, the down command is one of the first commands we taught, and it comes in handy a lot! Missy & Buzz knew how to lie down before we took our basic obedience class, but little did we know that their “down” was a BS -down (quoting our instructor). Great point, Barbara! I think that’s probably what M.K. was talking about with Bentley and Pierre when they pop back up like toast from a toaster. 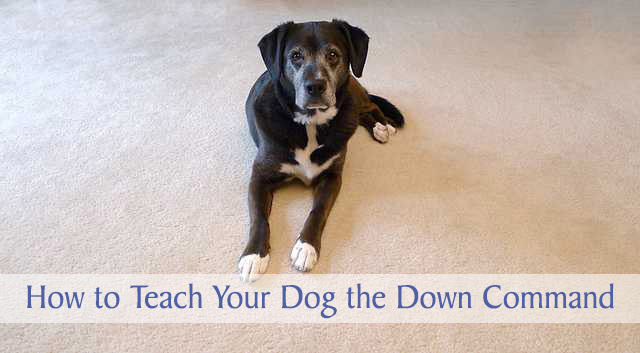 Great tips for teaching your dog “down”. It is exactly the way we trained our dogs, too! Thank you, Vicki. 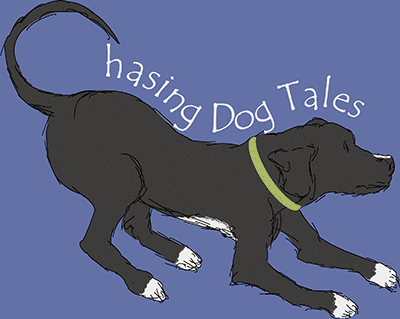 Wouldn’t it be great if teaching a dog to stay was that easy? ? Haley definitely has it down, what a smart cutie! Aw, that’s really sweet of you to say! Cheese is a hit around here too, yum! We love your blog! Matilda had a great Down, but mom can’t teach any of us downs. I’m Livvie the rat terrier, and I’m a good girl, but not a good listener. Mom says she lacks the skill to train terriers, having been successful with our greyhound and poodle Bridge sisters! Thanks so much, Livvie! Haley says not to worry about being perfect, she’s always working on new commands and sometimes doesn’t listen that well too. Oh my gosh, she is so cute. Her face is so serious in the video! Haha! I guess what I would add is to use a release word like “free!” or “OK!” so your dog learns to remain in a down for longer periods. It’s so easy for them to want to pop right back up right away, especially when they’re first learning. Yeah, she was in a more serious (or lazy) mood the day we were videotaping, lol. Great tip about the release word. I usually combine the Down with a Stay if I want her to stay put for awhile, then I’ll say “Okay” to release her. Great training post. This is how I teach my gang too.